The National Development Squad (NDS) is touring New Zealand in April 2018. 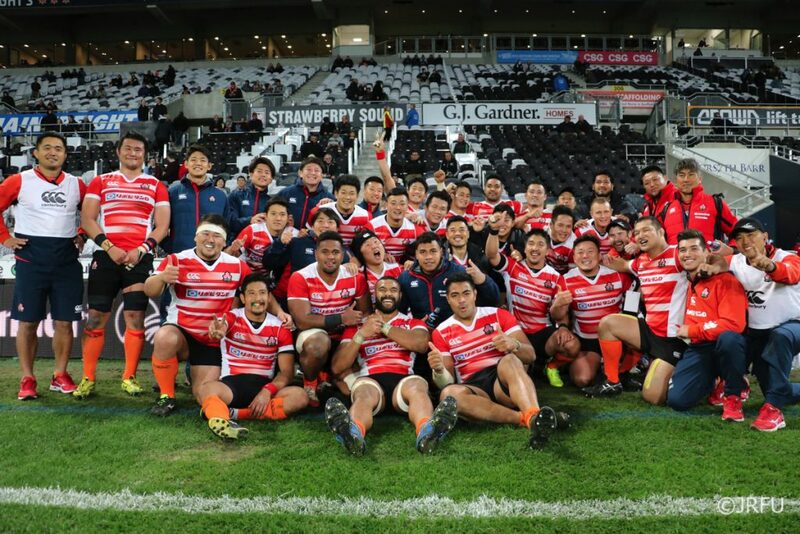 The NDS allows fringe players to the Japan national side as well as the Hito-Communications Sunwolves Super Rugby side the opportunity to press for higher honours. The NDS, who are playing as Japan A, will play three practice games against Highlanders A, Blues A and Hurricanes Development. In the opening game of the tour, Japan A did enough to beat Highlanders A 13-12. The game was played before the Super Rugby fixture between the Highlanders and the Brumbies at the Forsyth Barr Stadium in Dunedin on Saturday, 14 April 2018. In a game of two halves, Japan A scored all their points in the first half through a try, conversion and two penalties to first five Rikiya Matsuda. The Highlanders responded in the second period with two tries and one conversion, but that left them one point short at fulltime. Japan A play the Blues A in Auckland next Friday. Japan A: 1- Koki Yamamoto, 2- Atsushi Sakate, 3- Shinnosuke Kakinaga, 4- Samuela Anise, 5- Uwe Helu, 6- Fetuani Lautaimi, 7- Shunsuke Nunomaki (c), 8- Masakatsu Nishikawa, 9- Keisuke Uchida, 10- Rikiya Matsuda, 11- Kenki Fukuoka, 12- Sione Teaupa, 13- Daishi Murata, 14- Akihito Yamada and 15- Ryuji Noguchi. Reserves: 16- Yusuke Niwai, 17- Masataka Mikami, 18- Genki Sudo, 19- Shinya Makabe, 20- Faulua Makisi, 21- Koki Arai, 22- Robbie Robinson and 23- Seiya Ozaki. Coach: Takanobu Horikawa.